RTP received more than 200 songs to compete in Festival da Canção! Festival da Canção 2019 is already underway. RTP maintains the model adopted in recent years, counting in the next edition with the participation of 16 composers: 14 by direct invitation and 2 by submission of proposals. The winner will represent Portugal at ESC 2019 in Tel Aviv, Israel, next May. As in this year’s edition, Festival da Canção 2019 will feature various entries from the festival enthusiasts. By the end of October, RTP received more than 200 submissions competing for the 2019 Festival da Canção. The revelation of the chosen candidate, as well as the winner of the Master Class, that will decide the 16th competing composer, will happen soon. As stated in the regulations, the selection of the songs was done by a jury specially created by RTP that integrated, as mentioned, personalities of recognized merit in the field of music, and television production. 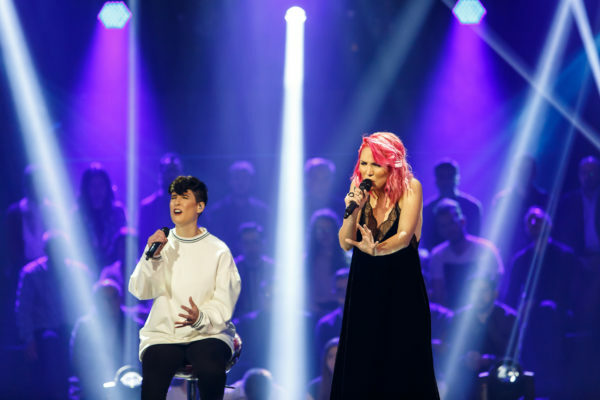 Winners of this years’ Festival da Canção were Cláudia Pascoal and Isaura with the song O Jardim, this is how they succeded Salvador Sobral’s victory in Kyiv. They reached 26th place at the 2018 Eurovision Song Contest. Melodifestivalen acts and songs titles to be revealed on 27th November!